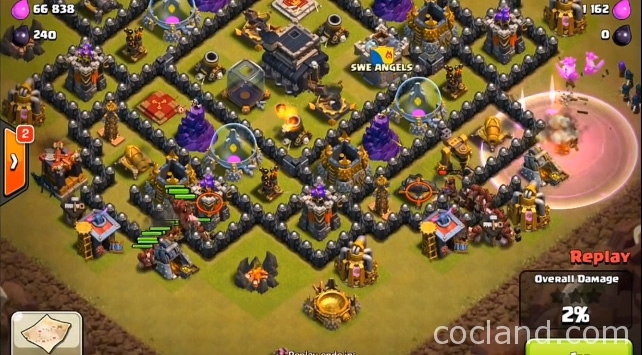 With Mass Hog Riders Attack Strategy, you can 3 stars almost base under Town Hall 10 easily. You can use this strategy for both farming or Clan Wars. 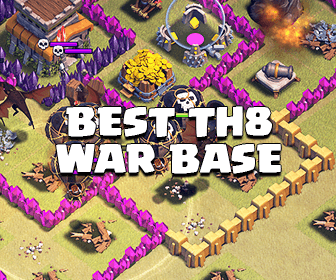 I really love this one because it is one of the laziest Clash of Clans strategies. Who should use Hog Riders Attack Strategy? Hog Rider is one of the most powerful and useful troop in Clash of Clans. All Town Hall 8, 9 and 10 villages which have at lease level 4 Hog Rider can use this strategy. If your Hogs are level 3 or below, don’t use this strategy because they are pretty like piglets and it will be a prodigality. Read the Dark Elixir Farming Tips if you think it’s hard to find DE. Troops: Heroes, 5 Barbarians, 10 Archers and the rest is Hog Riders. Spells: 1 Lightning Spell and 3 Healing Spells. Barbarians and the Wizards in your Clan Castle will help you remove the Heroes and outside buildings quickly. Lighting Spell for dealing with the Clan troops. HP is a weakness of Hog Riders. Your Hog Riders will be killed very fast with double Giant Bombs and without your Healing Spells. Never bring Rage Spells while attacking with Hogs because Hogs never stay in a place for a long time. Always lure the Clan troops if you can with your Barbarians. If there are Barbarians, Archers and Wizards, say bye with them by using Lightning Spell.If there is a Dragon, lure it out then use your Barbarians as the meat shield and drop your Wizards to attack the Dragon. Focus on the raid, when your Hogs’ HP are turned to yellow, drop your Healing Spells. Drop your Heroes and Clan Castle If you still have them on the side where you start attacking. 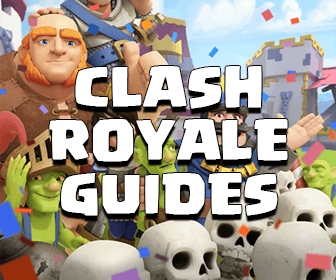 I hope with this Hog Riders strategy, you can bring a lot of stars to your Clan!